E-newsletters are a great way to build a relationship with your database and keep them engaged. A branded eSuccessTIP can be sent out to the station’s email database every month. The bottom of the email will have icons for three local businesses featured at the bottom. 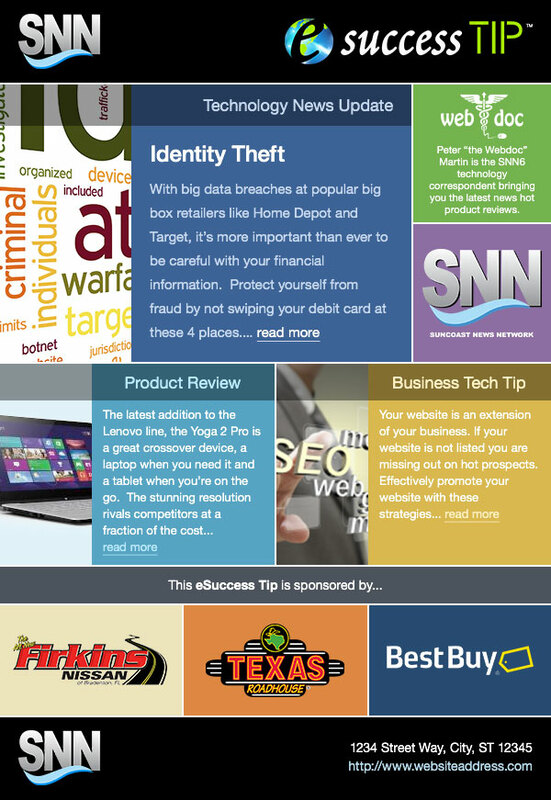 Businesses can sponsor the eSuccessTIP and they will get linked back to their websites. By adding a data capture form to the station’s website for visitors to subscribe to the eSuccessTIP, we can increase the number of contacts in the current database. A sign up form can also be advertised through Facebook.